Left to right: Ian Fraser and George Elliott Clarke; Premier Rodney MacDonald; Lt.-Gov. 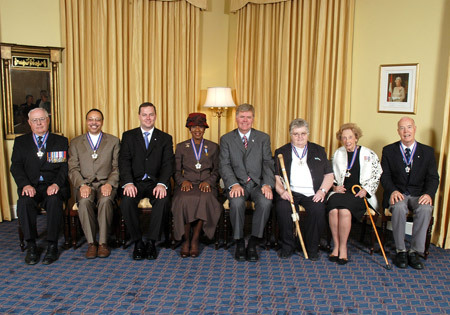 Mayann Francis; Len Goucher, Minister Responsible for the Order of Nova Scotia; Joan Dillon, Alida (Cora) de Jong Greenaway and Ron Stewart. 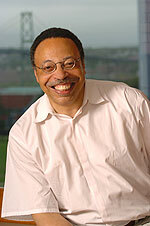 George Elliott Clarke, O.N.S., BA, MA, Ph.D. This revered Canadian poet, playwright, novelist and scholar was born near the Black Loyalist community of Three Mile Plains in 1960. He has contributed greatly to arts and academics in Nova Scotia. Through his work, he has given a voice to the voiceless and fought for equality of rights for African Canadians, or, to use a term he coined, Africadians. He has helped to establish the academic study of African-Canadian literature. Despite his teaching and research demands, he continues to make time to participate in the Writers' Federation of Nova Scotia's Writers in the Schools program and to write a book review column for the Halifax Herald newspapers. His work has received many laurels, including the Portia White Prize of Artistic Achievement, the Governor General's Award for English Poetry (making him the first Atlantic Canadian to receive this award in over 25 years), the Dr. Martin Luther King Jr. Achievement Award and the prestigious Pierre Elliott Trudeau Fellowship Prize. Dr. Joan Dillon is perhaps best known as the heart and soul of X-Project, a student-based society at St. Francis Xavier University. 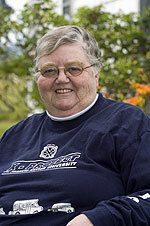 Since its beginning in 1965, Joan has been instrumental in bringing together over 3500 St.F.X. students and over 1000 community members, parents, elders and youth, in the X-Project circle. For over 41 years, three nights a week and sometimes on Saturdays, busloads of St..F.X. students have headed to the communities of Paqtnkek (Afton), Pictou Landing, Sunnyville, Lincolnville and Upper Big Tracadie to provide small-group educational assistance, mentoring, workshops and recreation programs. Through her humble service as the unknown factor, Joan inspires X-Project volunteers to see the good in others and to respect the dignity of all human beings. Joan also volunteered as a scout leader for over 35 years, earning the Silver Acorn award for her dedication to scouting. She was the second person to be inducted into the African Canadian Heritage and Friendship Centre in Guysborough. . She received an honourary doctorate of Laws from St. Francis Xavier University in May 2006, an honorary X-Ring in 1990 and an induction into the Hall of Thought in 1991. 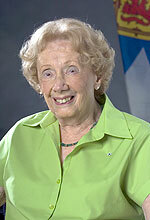 She has received the Canada 125 medal and numerous community awards. Colonel (Ret'd) Ian Simon Fraser, O.N.S., O.M.M., C.D., D.C.L., B.A. Born in 1932 Colonel Fraser has led an exemplary career with the Canadian military. Since retiring from the military in 1983, he has formed his own successful consulting business, specializing in planning advice and crisis management. He has produced numerous pageants, national and international tattoos and special events across Canada and in other countries. 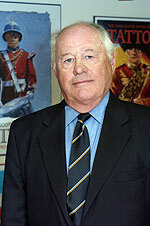 He has produced and directed the Royal Nova Scotia International Tattoo since its inception in 1979. The international success and recognition of the tattoo has brought hundreds of thousands of tourists to the province and given young artists from 20 countries an opportunity to showcase their outstanding talents. A historic researcher and linguist, she is known nationally as a cultural icon for her tireless work in preserving the culture and heritage of our province. She is perhaps best known for her discovery and promotion of folk artist Maud Lewis and the preservation of the Croscup Room, now preserved in the National Art Gallery in Ottawa. She is fluent in Dutch, English, French, German and Italian. Ms. de Jong Greenaway worked as a freelance broadcaster on cultural and heritage subjects for CBC radio and led the formation of the Heritage Trust of Nova Scotia. Dr. Stewart has had a successful career in medicine as both a practitioner and an educator. After spending part of his career studying in Los Angeles and working in Pittsburgh and Toronto, he returned home to Nova Scotia to take up duties in emergency medicine and anaesthesia at Dalhousie University. He conducted research in the management of acute pain in trauma. 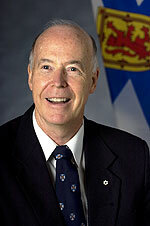 In 1993 he was elected into the legislature and served as minister of health until 1996. In 1998 Dr. Stewart started "Music-in Medicine"-a program that allows medical students, alumni, professors and staff to enjoy music performance as part of their educational and life experience. His world-class work in the area of emergency medicine revolutionized the Nova Scotia health-care system. He understood that efficient emergency response was a prerequisite for meaningful health-care reform. He is a true visionary in his field and respected internationally for his work in emergency care, smoking cessation and the humanities in medicine.